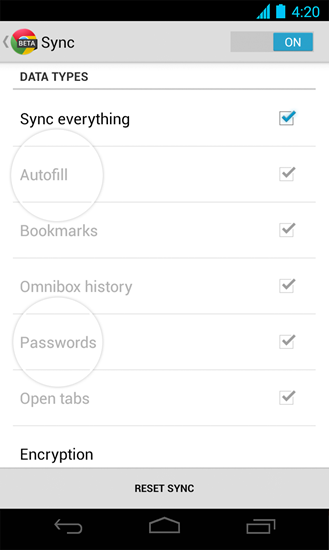 If you're using the beta channel of Chrome for Android, you're in for a treat today: Chrome for Android now supports password sync and autofill, two awesome features that should make your mobile browsing life a lot easier. 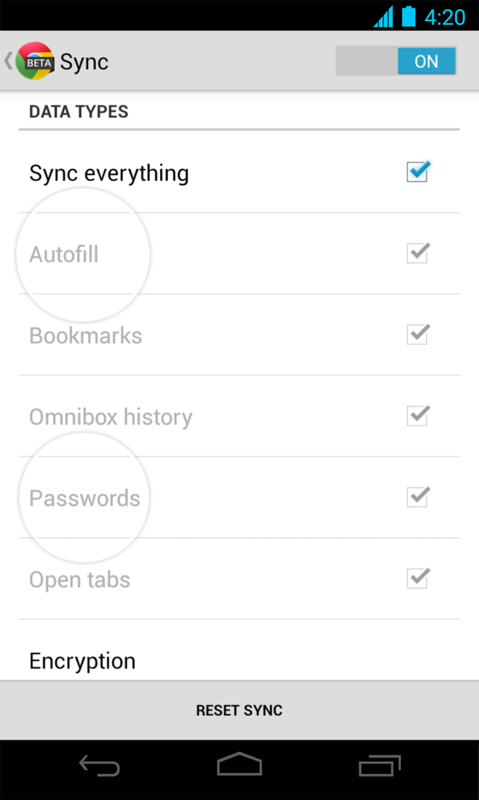 The toggles for these new features can be found in the Sync area of Chrome's settings, though Google says the feature is rolling out gradually, so you may need to wait a day or two before it actually works. 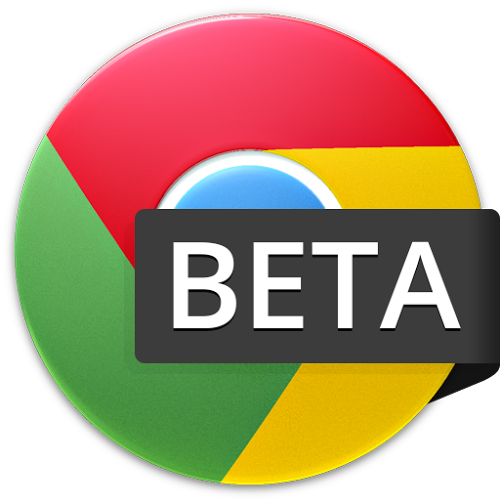 The Chrome team also recommends that you be running the Chrome Beta channel on your desktop browser in order to ensure the new features function properly. The changelog for the latest beta (version 26.0.1410.26) doesn't indicate any other changes in this new version, but we think the addition of more cross-platform syncing is more than enough for one release.